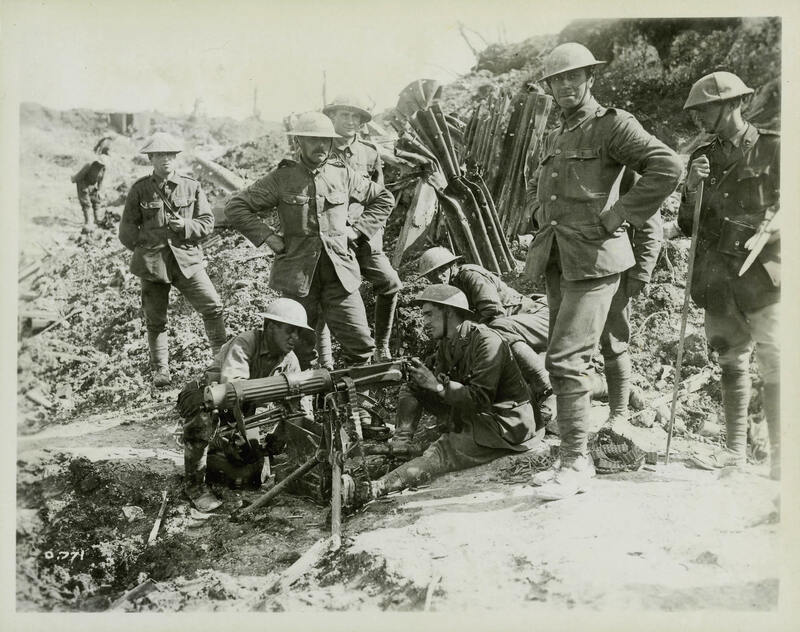 Soldiers test a Vickers heavy machine-gun. The water-cooled Vickers fired the standard .303-inch bullet (as did the Lee-Enfield rifle) from 250-round cloth ammunition belts. The Vickers could fire between 450 to 500 rounds per minute to a maximum range of 4,500 metres. It was an effective, reliable weapon but heavy and difficult to transport forward during a battle.